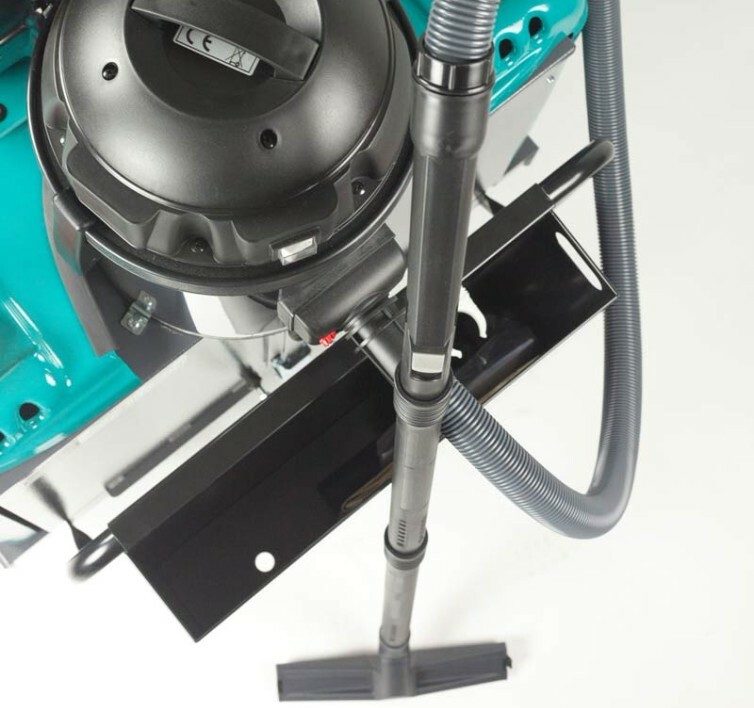 On-board vacuum cleaner for ASC E series ride-on sweepers. For quick and convenient cleaning of hard to reach places. 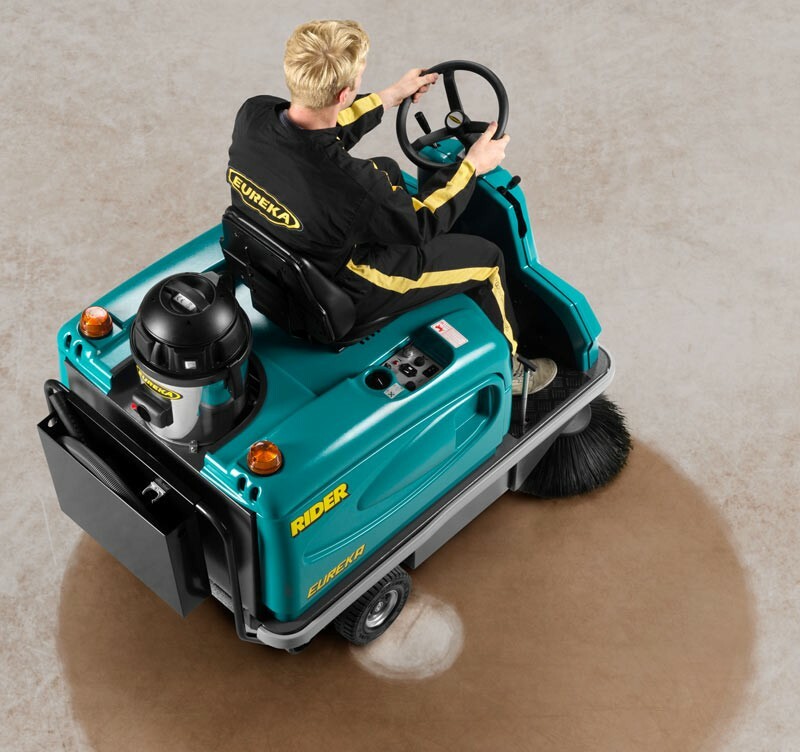 The foundation of operation for every sweeper is made up of three elements: brushes, vacuum motor and filter. The installation of these components on a robust and agile vehicle, permits deep cleaning of different floor types and areas. 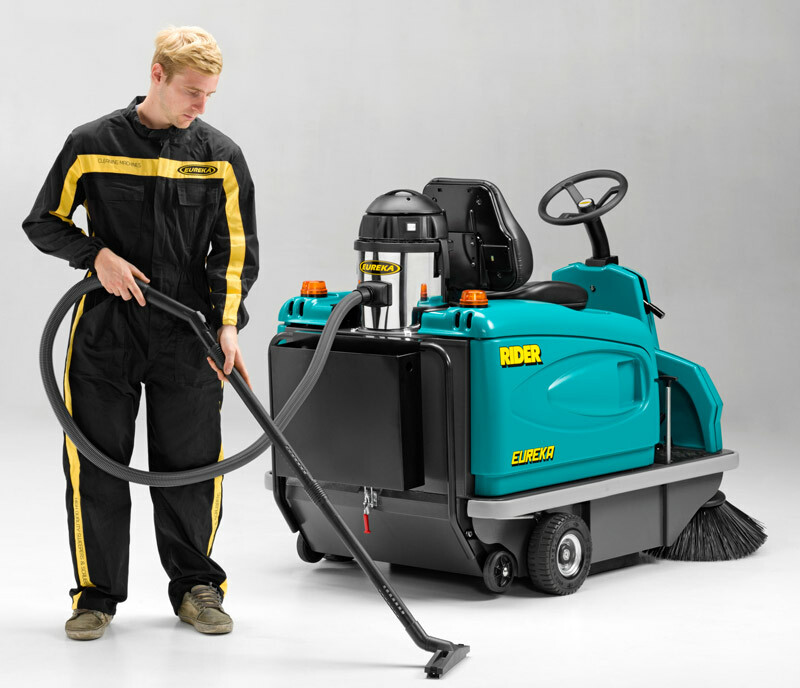 Industrial vacuum cleaners deliver precise cleaning, with a flexible hose which reaches hidden angles. However, they have limited mobility and productivity (measured in m2/hour) is dramatically reduced. 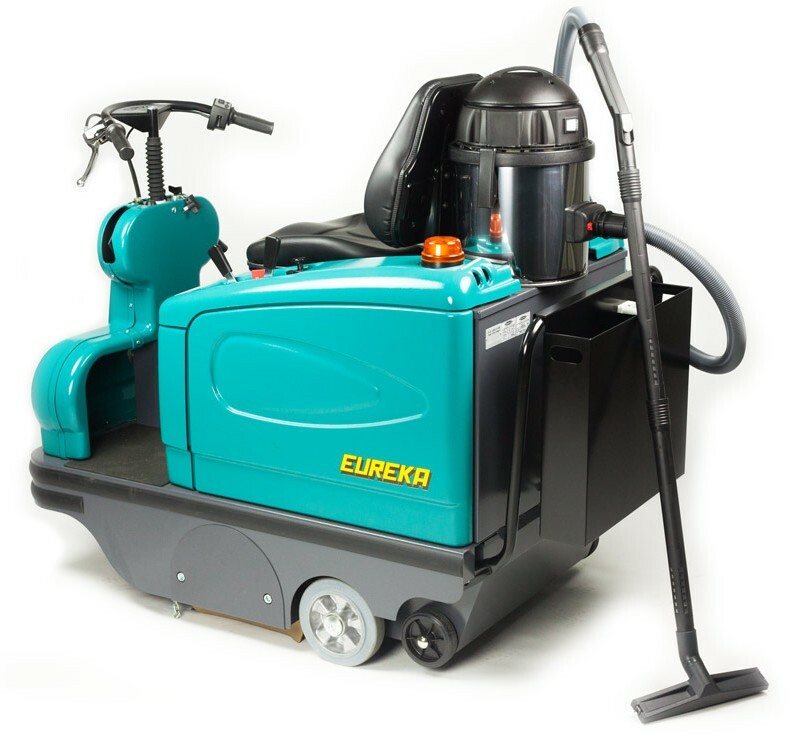 To ensure every cleaning operation is fast and efficient, even during detailed work, ASC Eureka has designed a Vacuum Cleaner Upgrade which is installed directly on-board our ride-on sweeper range. No time wasted to transport a standard vacuum cleaner unit to the area being cleaned. 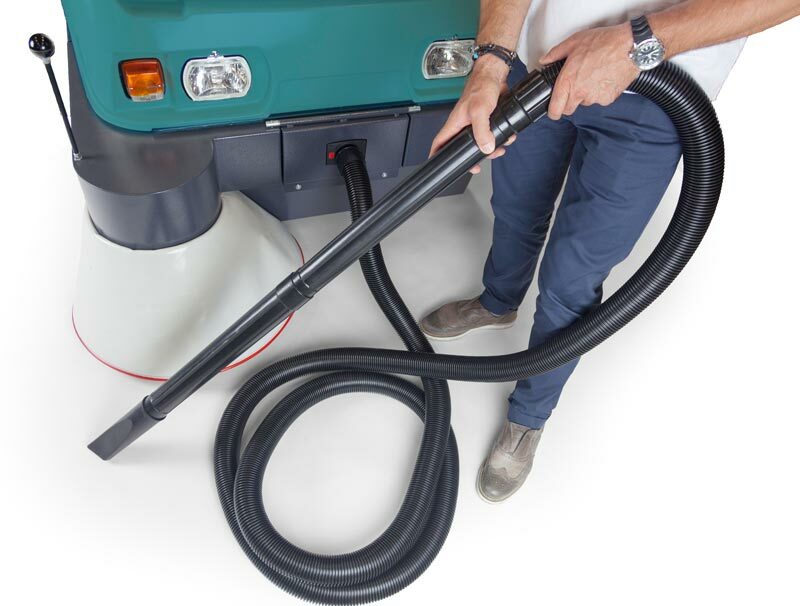 The on-board vacuum cleaner has an independent and powerful motor and a high-capacity hose. The power supply to the vacuum cleaner is connected to the sweeper, therefore there’s no need to manage a battery or power cord. Greater safety: the operator doesn’t need to manually move the vacuum cleaner, eliminating the risk of strain injuries. No time wasted by the operator retracing the sweepers path. 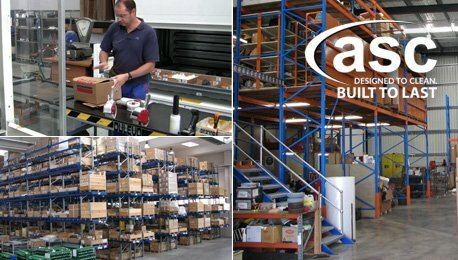 No risk of forgetting where it is necessary to carry out detailed work. Operation and maintenance of one machine, instead of two. Expressway Spares (WA) decide on Heavy Duty ASC Scrubber.